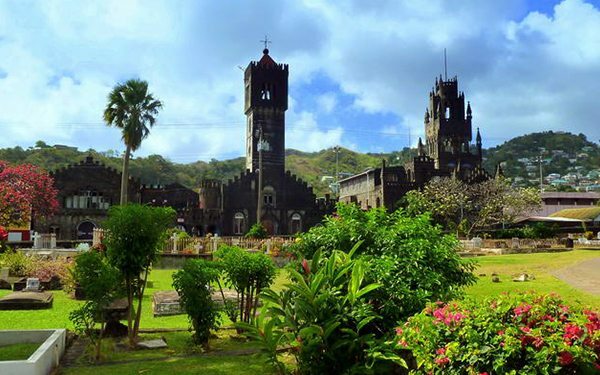 St. Vincent and The Grenadines boasts a rich history beyond its natural beauty and blissful beaches. 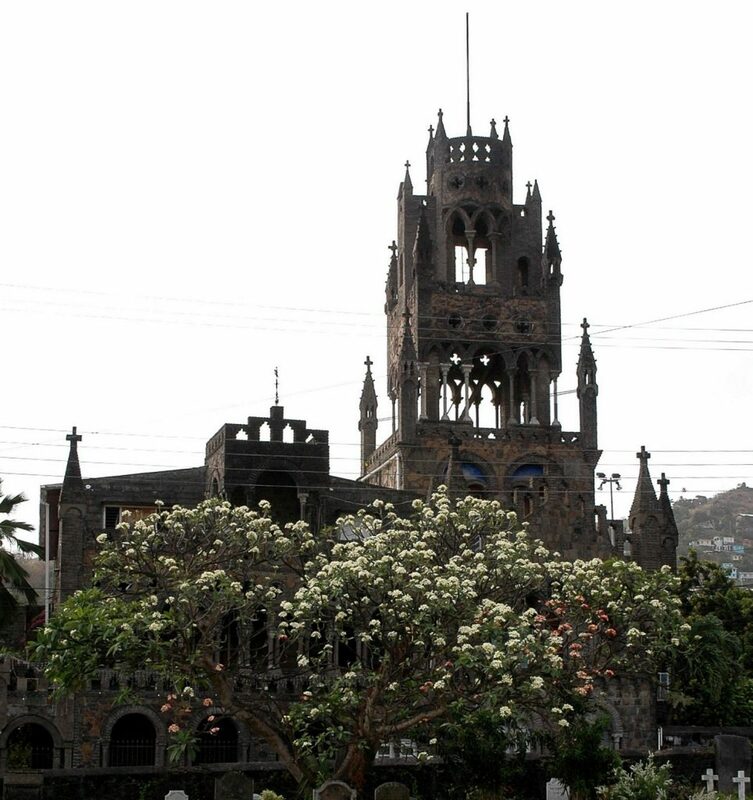 Standing out among the light-colored, Georgian architecture of St. Vincent’s capital city, Kingstown, is the striking St. Mary’s Cathedral. Consecrated in 1823 and completed in the 1930s, the Roman Catholic Cathedral of the Assumption intertwines Moorish, Georgian, and Romanesque architecture. The most prominent feature of St. Mary’s Cathedral is the 100-foot Madonna Tower from which visitors may enjoy a spectacular view of Kingstown’s harbor. The cathedral’s lush courtyard serves as a quiet sanctuary, while trickling fountains embellish the interior. Panels depicting the Stations of the Cross were collected in the 19th century from Europe and decorate the cathedral’s walls. The panels also hide a secret passage to the catacombs, that allows the priest to make a dramatic appearance behind the altar. The capital city of Kingstown is a quick and scenic drive from Young Island’s ferry dock. Mass is held daily, offering a unique way to experience artwork, history and culture. While in Kingstown, be sure to explore the capital’s bustling market, neighboring churches, and botanical gardens.